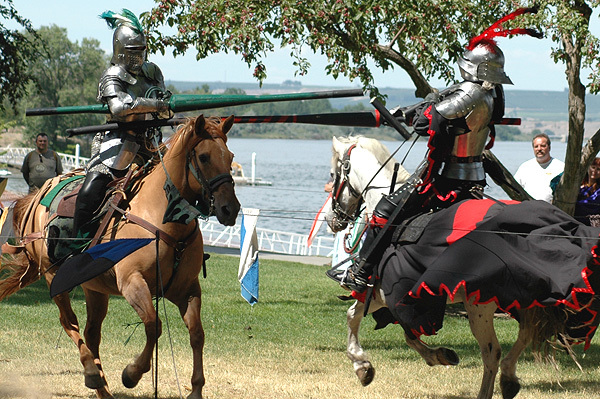 In olden times, “freelance” referred to knights who weren’t bound to a noble’s service. These intrepid warriors were thus free to chart their own destinies, mostly involving suicidal charges at longbowmen in hopes of scoring enough ducats to replace the shoes on their ancient subcompact warhorse. Today’s freelancers are much the same as their forebears, only they have traded their plate mail for liberal arts degrees, have a slightly lower chance of carrying the bubonic plague and are only forced to fight to the death every year or so. Are you a business owner/manager who needs someone to bash out two-thousand words on a tight deadline at a fraction of the cost of a permanent staffer (who are incidentally named for people that poked freelancers with staffs)? This guide will instruct you how. Go to a place where freelancers congregate. Coffee houses, dive bars, and methadone clinics all tend to attract freelance talent. You can tell which of the patrons are freelancers by the hungry looks in their eyes and the screenplays they carry around, displaying them to everyone who walks in. Jangle the spare change in your pocket. Use an “all-purpose” mix of dimes and nickles, as it attracts a better assortment of people who are in or used to be in graduate school. Shout “Who wants a paid writing gig?” This will likely result in the destruction of the coffee house/dive bar/methadone clinic. Warn the owner beforehand. Stand back and watch the scrum. Consider making extra business funds by selling tickets to people who walk by. Offer the last person a standing contract. If the person asks about health care benefits, say something about a discount card and change the subject to T.S. Eliot. Occasionally, you will hire a freelancer of exceptional talent. Feel good about giving this person an opportunity. Reward yourself with an expensive lunch with the company credit card. Help your freelance employee by helping him or her start a CareerBuilder account when he/she asks for a full-time position. It is best to hire freelancers to do writing and editing work, though you may be able to talk them into gardening, maintenance, construction or rock-breaking work if you drive them out to the site and convince them they can get an Atlantic submission out of it. Be sure to pay your freelancers. But, just in case, also learn how to block e-mail addresses.